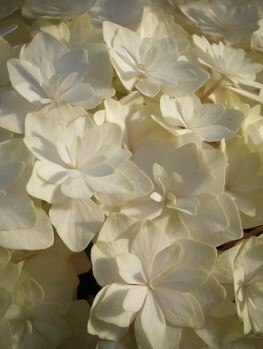 The Firelight® Hydrangea is a new and special form of the panicle hydrangea. Why is it special? Because unlike others, it quickly turns pink in summer, bringing lots of color much earlier than other panicle hydrangeas. 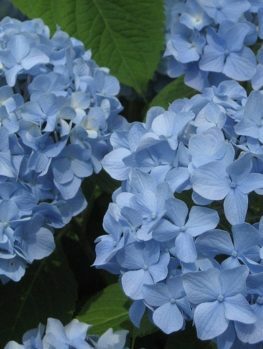 It is much more cold-resistant than pink or blue mophead hydrangeas, so it grows well in zones 3 and 4, where mophead hydrangeas usually won’t bloom. It quickly grows into an upright shrub, between 4 and 6 feet tall, with strong, arching branches. The enormous flower heads, up to 16 inches long, are held up well by the strong stems, with no flopping, so this plant always looks spectacular. Plant it in sun or light shade, as a background shrub, as a specimen on a lawn, or to frame an entrance. A row makes a lovely informal flowering hedge, and it also grows well in planters or a large pot. 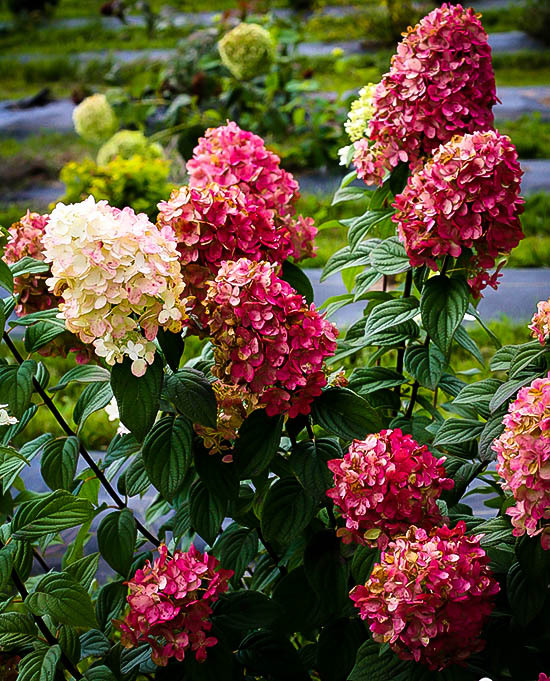 Plant the Firelight® Hydrangea in any well-drained soil. This is an easy plant to grow, and minimal care is needed. Some soil enrichment with organic material is helpful, and some fertilizer in spring, such as you might use for roses, is helpful for maximum growth. Choose a sunny or lightly shaded location. this plant has no notable pests or diseases, and it is very easy to grow, with spectacular results. Prune in spring for the best flower development. Hydrangeas are a big part of the summer and fall garden. These reliable plants bring color and interest when most other plants have finished blooming, and their blossoms last and last. 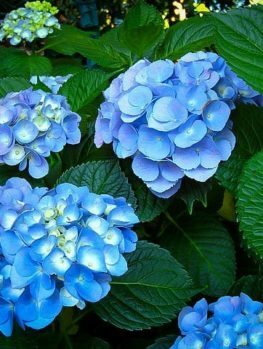 The familiar blue and pink hydrangeas grow best in warmer parts of the country, but those who live in cooler areas have today a wide variety of hydrangeas that are very cold hardy. 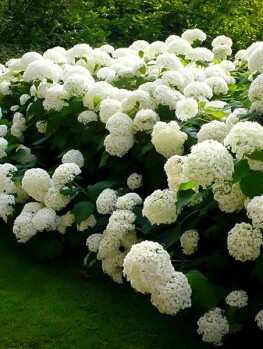 The best of these are panicle hydrangeas, which have conical flower heads, rather than the rounded mop-head types. Traditionally, panicle hydrangeas only had white flowers, which turned pink and perhaps red in fall. To give us more color earlier, breeders have developed a new variety that turns red very soon after opening, giving brilliant color while we still have summer, and then continuing into fall. 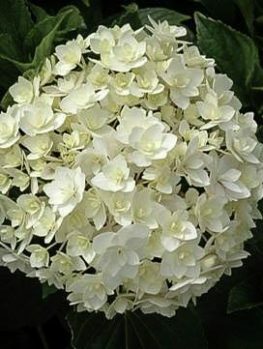 The best of these is undoubtedly the Firelight® Hydrangea. 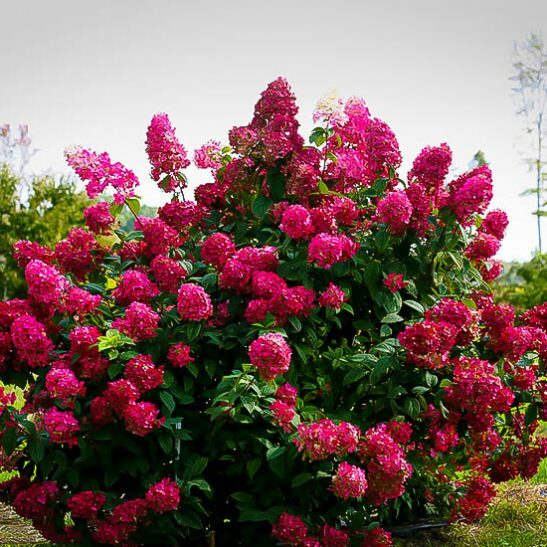 The Firelight® Hydrangea is a medium-sized multi-stemmed shrub, growing anywhere from 4 to 6 feet tall and spreading about the same distance across. It has many arching branches, with large, green leaves, making a dense, rounded form. At the ends of the branches enormous flower spikes develop, a full 12 to 16 inches long. These conical heads are made up of many small, flat flowers, and the flower spike is dense and full. Unlike many older type of panicle hydrangeas, this plant has strong stems, and the flowers are held up well, without flopping or breaking. The flowers open a lovely pure white, making a delicious early showing. The big feature of this plant, though, is that very soon, that white begins to turn pink, quickly becoming a rich, dark, pomegranate pink color. So if you always wanted pink hydrangeas, but knew that your garden was too cold, now you can, with the Firelight® Hydrangea. As fall’s cooler nights arrive, the color deepens further to a rich red, and the flowers last and last through the colder weather, keeping your garden colorful and interesting. Plant the Firelight® Hydrangea as a background to smaller shrubs. Put a pair on either side of a doorway, or to frame a pathway. A row of them, spaced 3 to 4 feet apart, makes a lovely informal hedge along your property line, or to divide one part of the garden from another. 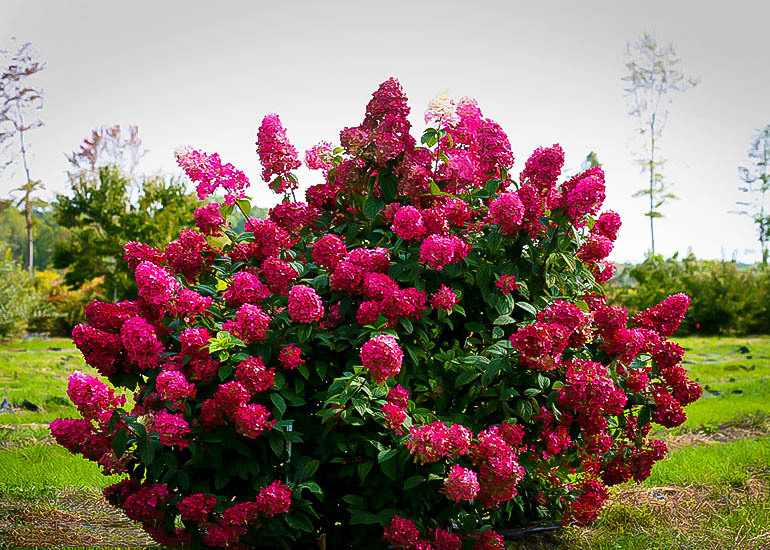 Plant it with early blooming shrubs or flowers, so that it comes into bloom after them, continuing the color and interest in that part of the garden. Wherever you grow it you will love it! Now you might think that such a great plant was hard to grow, but no – it is very easy to have this plant in full bloom in your garden. In is perfectly hardy from zone 3 to zone 8. In the cooler zones it will grow best in a sunny location, although it also grows well in partial-shade. In zone 8 it will thrive best in an area that is lightly shaded for most of the day, especially during the afternoon. Even if you can grow traditional hydrangeas, the Firelight® Hydrangea is a wonderful shrub for every garden. 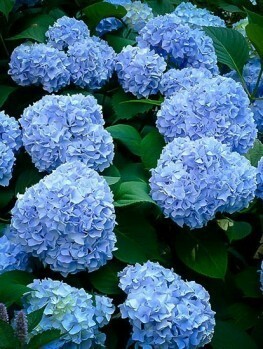 Plant the Firelight® Hydrangea in any well-drained garden soil. 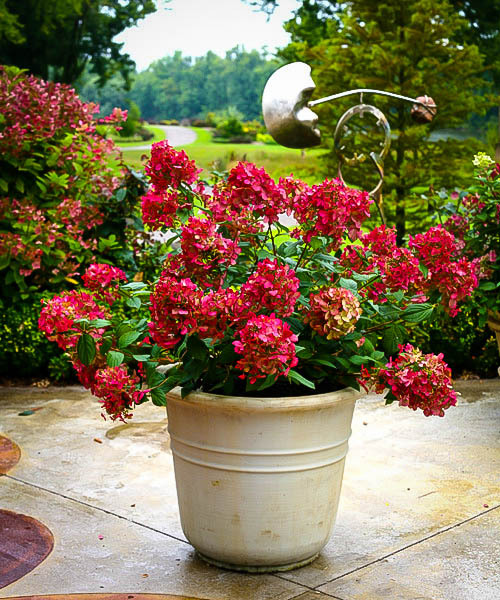 Enrich it with organic material before planting, and mulch in spring for good growth. Water regularly during the first season, and don’t allow your plant to become too dry – it thrives best with regular watering. It has no significant pests or diseases, and this is a very easy plant for anyone to succeed with. The only care needed is pruning in early spring. As soon as you see some new buds sprouting on the stems, do some pruning. Remove any dead and weak stems. If you want a taller bush, leave just one, two or three main stems, removing other, weaker stems, and the lower side-branches on the remaining ones. If you want a bush that is green to the ground, then leave more main stems, and lower branches. The remaining stems should then be cut back to a healthy pair of buds. How far back you cut affects the number of flower heads, and their size. Cut back just a little, and you will have many flowers, but of a smaller size. Cut back to just 2 pairs of buds, and you will have fewer, but much larger, flower heads. For average sized flower heads, cut back about ⅓ to ½ of the length of the stem, just above a pair of buds. 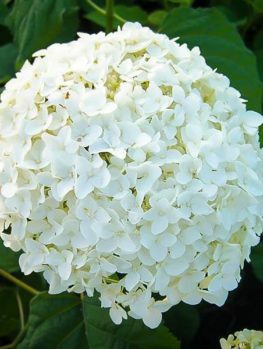 The Firelight® Hydrangea was created by Timothy D. Wood, a notable breeder of hydrangeas, based at Spring Lake, Michigan. In 2007 he crossed two other varieties of panicle hydrangea and grew the resulting seed. 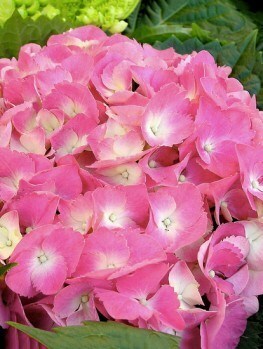 In 2011 he selected a special seedling when he saw it blooming, and this became the Firelight® Hydrangea. It was so special and remarkable that it was patented in 2013, and only licensed growers can produce this plant. Our plants are guaranteed to be this remarkable new variety, so for the newest and best, make sure you are buying the right plant. This fabulous variety has really taken off, so our inventory will soon be depleted. Order now while stocks last.